NORAH’s main aim is to encourage individuals and communities to use Norfolk’s archives to learn about the past. It is particularly keen to encourage those people who may not have considered using archives before. NORAH believes that interaction with Norfolk’s archives can help people develop transferable skills, support well-being and enhance a sense of place and belonging. NORAH realises that because archives can sometimes be difficult to access and understand, it needs to support activities which help people engage with archives. This may mean translating and transcribing documents into modern English, or teaching the relevant skills, and looking at the context in which a particular document was created. The Drawing in the Archives school workshops is an excellent example of how NORAH supports learning. 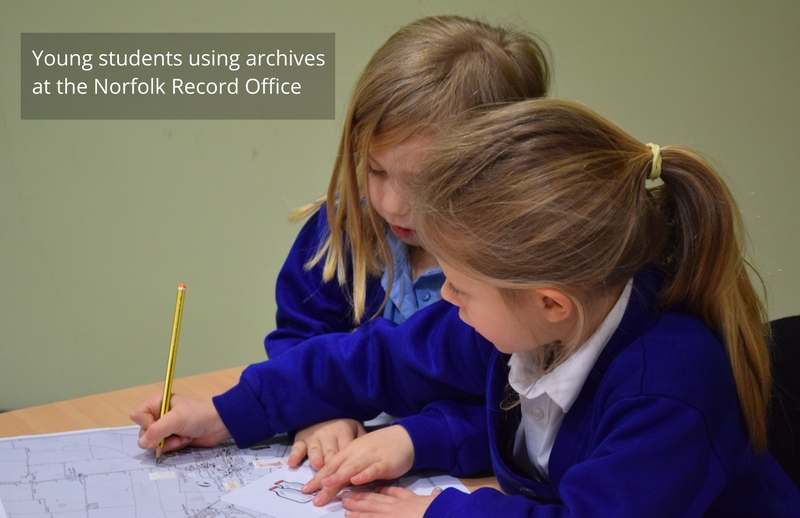 The workshops, which were led by locally based artists, used Norfolk’s archives as a teaching resource and inspiration for primary school children.